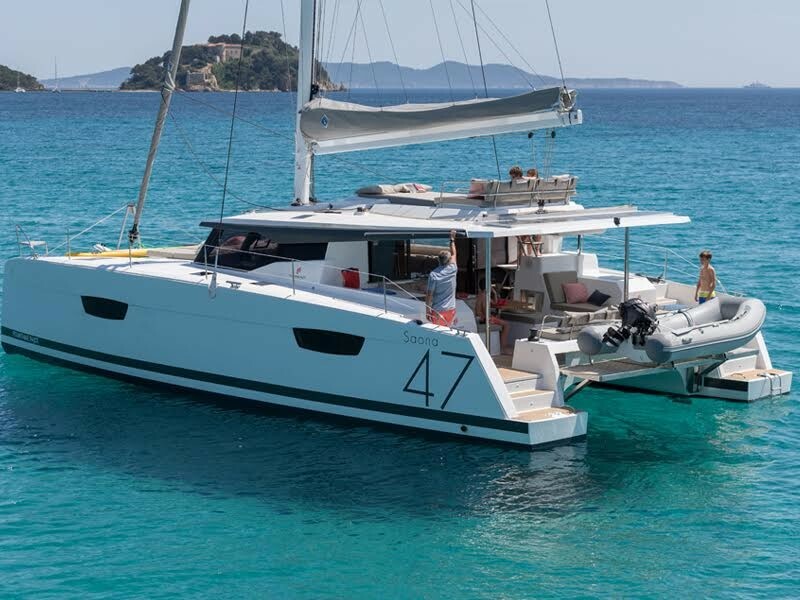 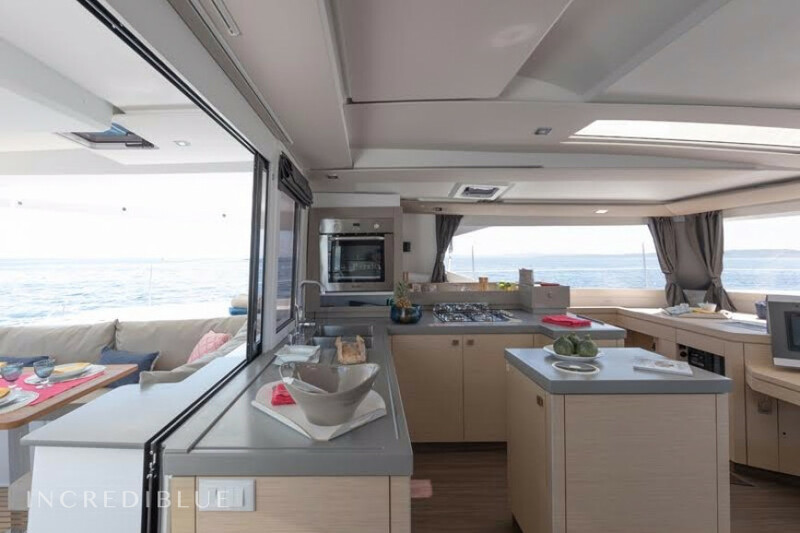 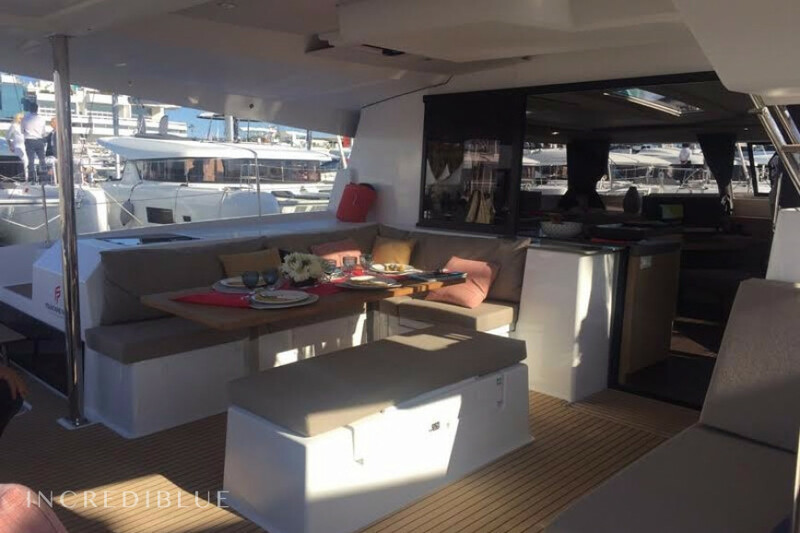 Fountaine Pajot Saona 47 (Quintet) - 5 + 1 cab. 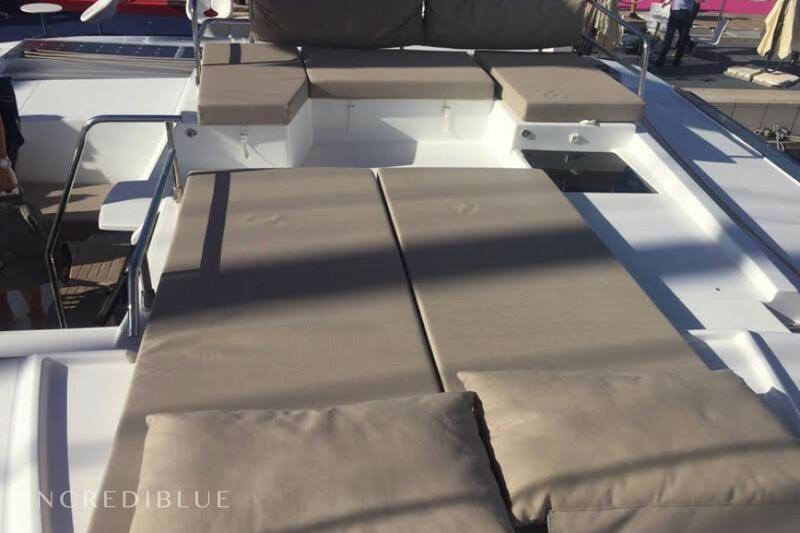 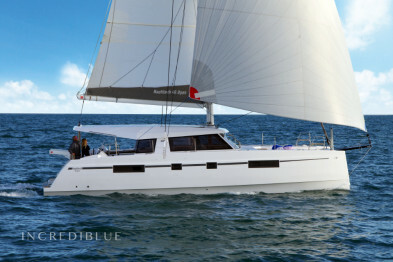 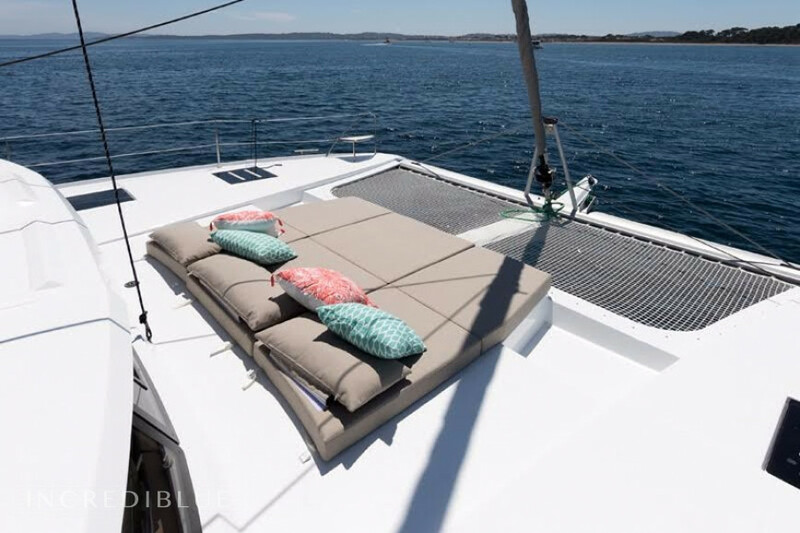 Sail in style, aboard this beautiful 47 foot catamaran! 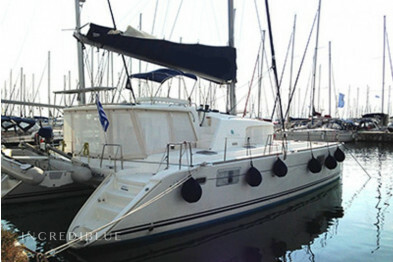 If you are looking to enjoy the Greek Isles while sailing on the Mediterranean then look no further! 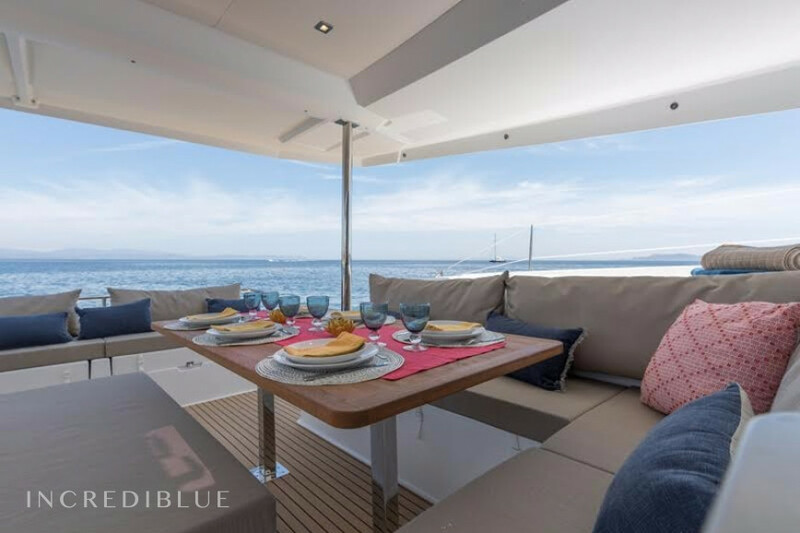 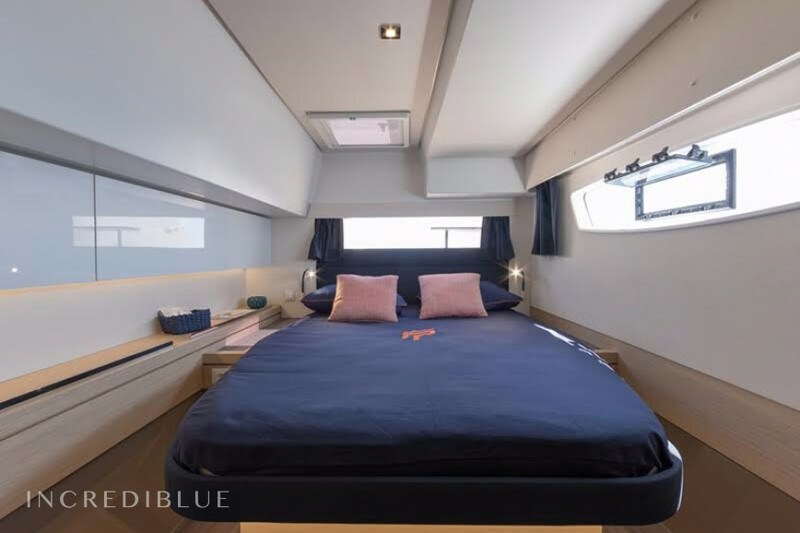 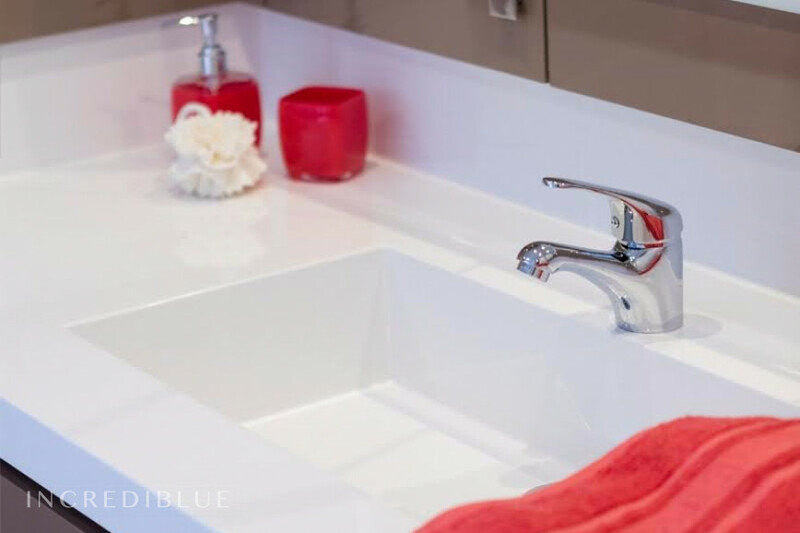 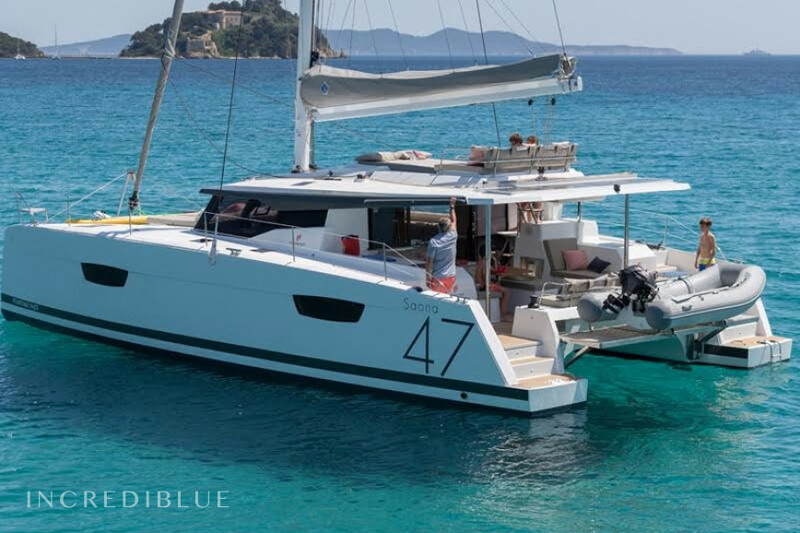 This catamarans mix of modern ingenuity and beauty will ensure an unforgettable experience for all aboard. 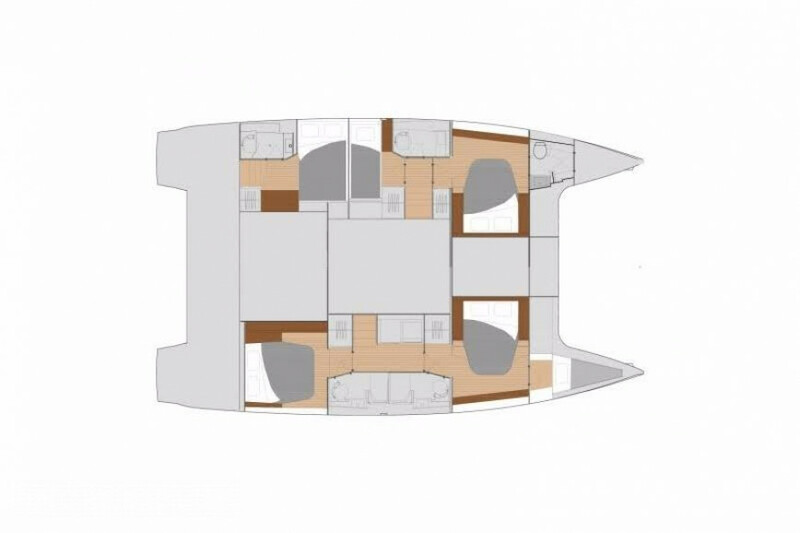 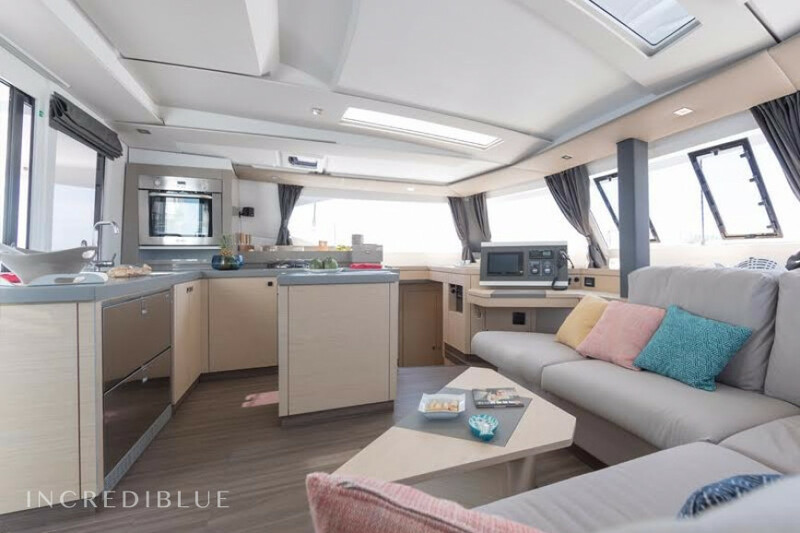 Her 6 spacious cabins are enough to comfortably accommodate 11 passengers, making it perfect for groups of all ages and types. 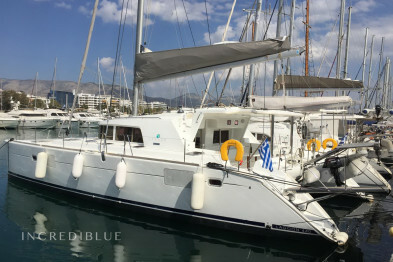 Model Saona 47 (Quintet) - 5 + 1 cab. 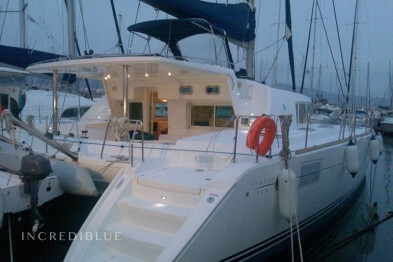 Engine power 2 x 60 H.P.